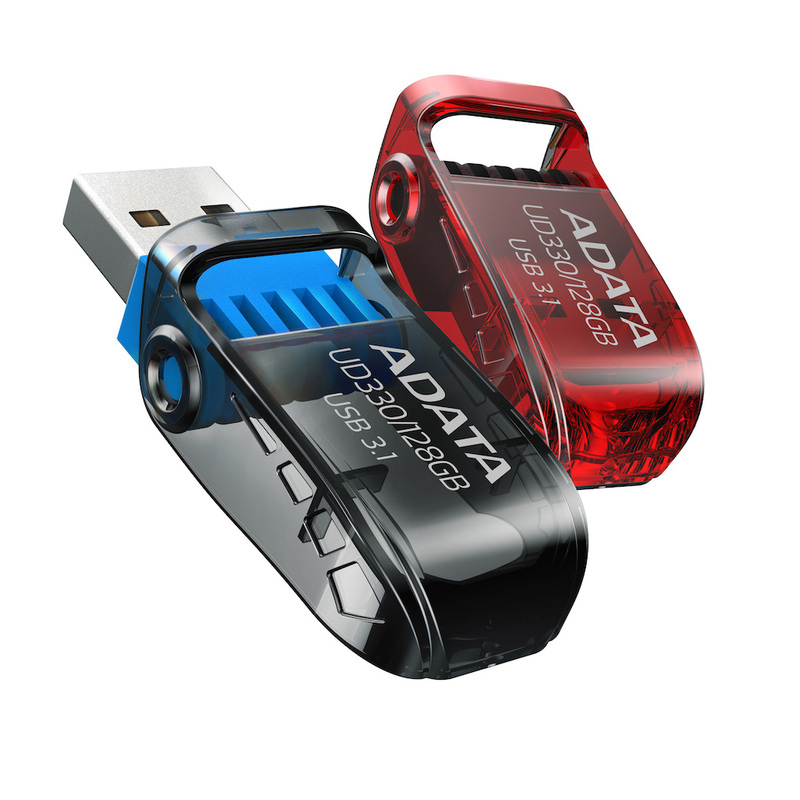 On August 2, 2018, one of the leading manufacturers of DRAM modules and USB flash drives ADATA revealed the UD230 and UD330 USB Flash drives. Their capless, folding-cover design and a large lanyard hole for attaching to straps and keychains make them incredibly easy to use and well-suited even on the go. Let’s take a closer look at what the two flash drives have in store for you. The UD230 is compatible with USB 2.0 and can be purchased with up to 64GB of storage, whereas the UD330 works in USB 3.1 providing you with up to 128 GB of storage for all your files, photos, videos, etc. 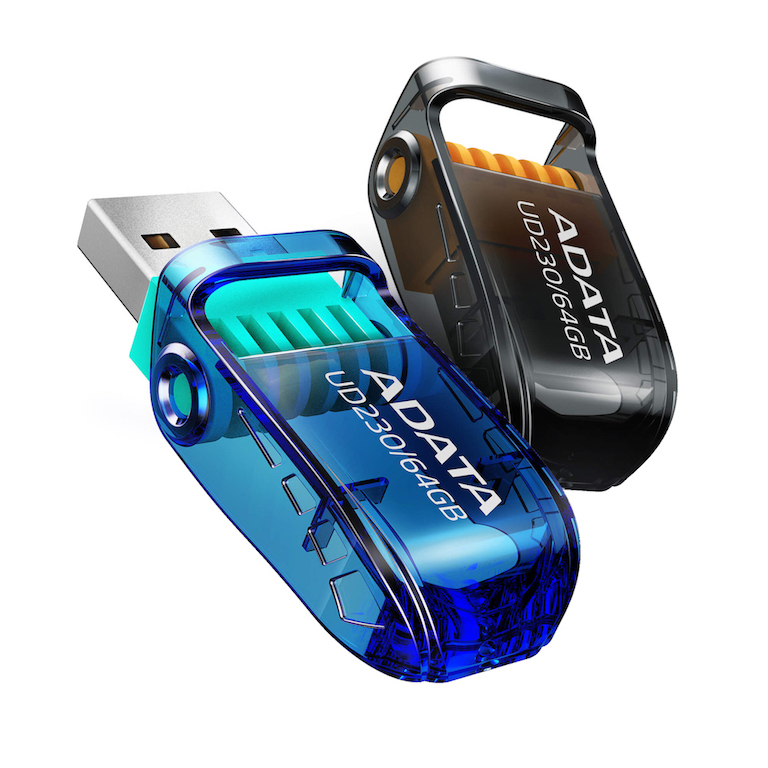 In addition, both devices are based on the Chip-On-Board (COB) process which enhances their compact dimensions and makes them more resistant to water and dust when compared to other flash drives built upon traditional manufacturing processes. Moving on, their folding-cover design allows you to store the USB connector in the cover when you don’t use them so the universal issue with misplaced caps is no longer a thing. Such innovative design proves that the UD230 and UD330 are perfect for use on the go. Furthermore, both flash drives feature a large lanyard hole that makes carrying them around far easier as it allows you to attach them to lanyard straps or keychains, plus – there’s less chance of you losing it. On top of that, purchasing the UD230 or UD330 means you can take advantage of the free value-added software ADATA UFDtoGO and OStoGO. UFDtoGO boasts many useful features such as No-Trace Browsing, data compression and protection with AES 256-bit encryption, as well as PC-Lock. And with OStoGO software, users are capable of installing Windows 7 directly via the flash drives rather than via bootable DVD.